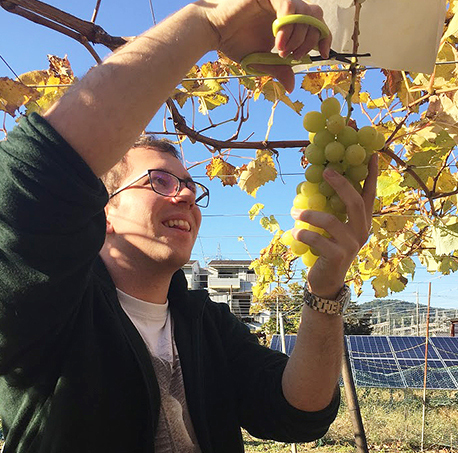 The surrounding areas of our campus, Shibuya/Aoyama/Harajuku, have been developed to become the most vibrant and culturally ‘cool’ area of Tokyo, Japan, with easy access to everywhere in Tokyo. 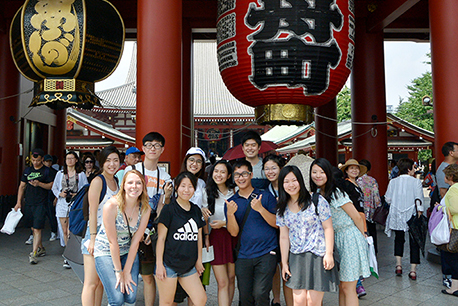 Our summer intensive study program at Aoyama Gakuin University is designed for students wishing to deepen their knowledge of Japanese culture in an academically rigorous and trend-setting environment in Tokyo. A certificate will be issued upon successful completion of this program. 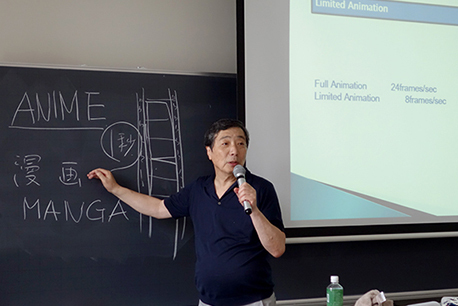 studio that created some of the world’s most beloved animated series and films such as “The Wonderful Adventure of Nils”, “NARUTO” and “Bleach”, will talk about Japanese animation production, its history and inside stories. 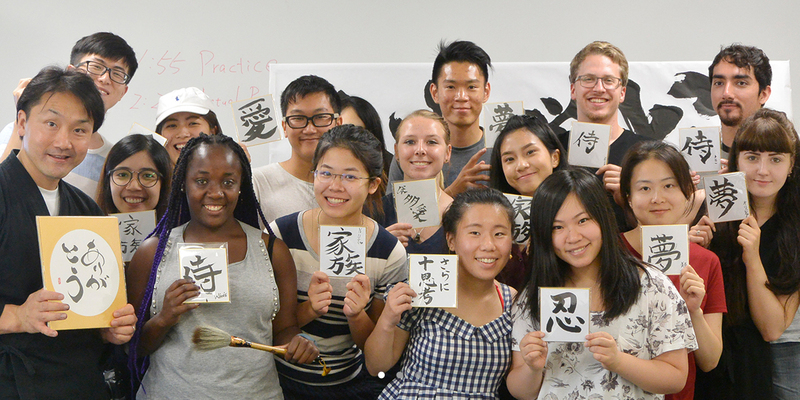 you a hands-on experience to teach you the basics of calligraphy writing. LOOKING CLOSELY – AT INSECTS! one evident in its poetry and traditional arts. 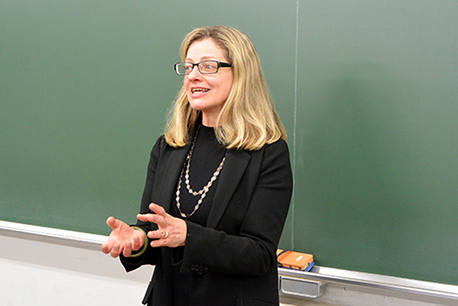 Aoyama Gakuin University Professor Mary Knighton will introduce the myriad ways in which insects appear not only in Japanese religion, folklore, and classical literature but creatively and diversely in seasonal practices, modern literature and film,popular culture, and industry as well. 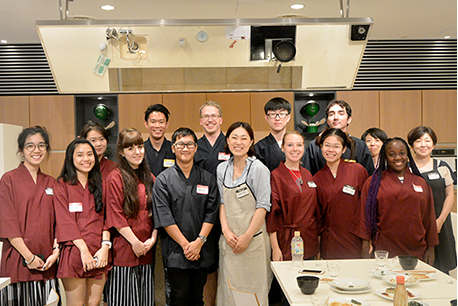 Learn the secret of Japanese cuisine ( “Washoku” ) in Asakusa! 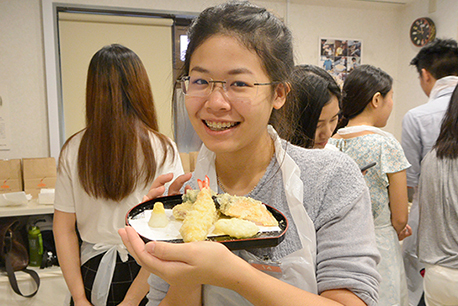 You will learn how to prepare delicious Japanese dishes. 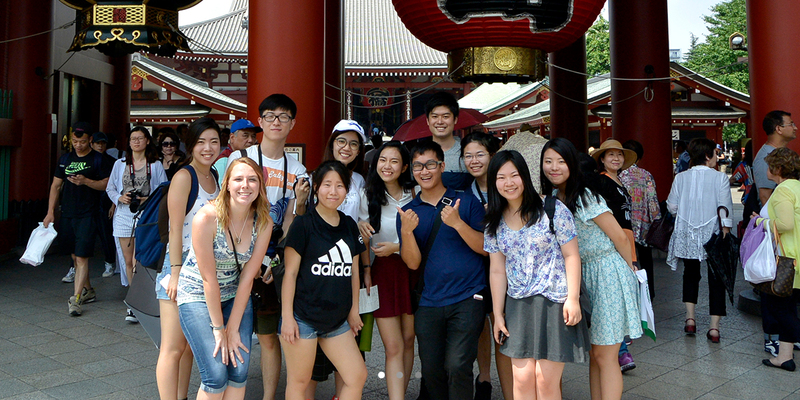 After the cooking workshop, we will explore Asakusa, one of the most popular spots in Tokyo where you can see the buildings in traditional styles. 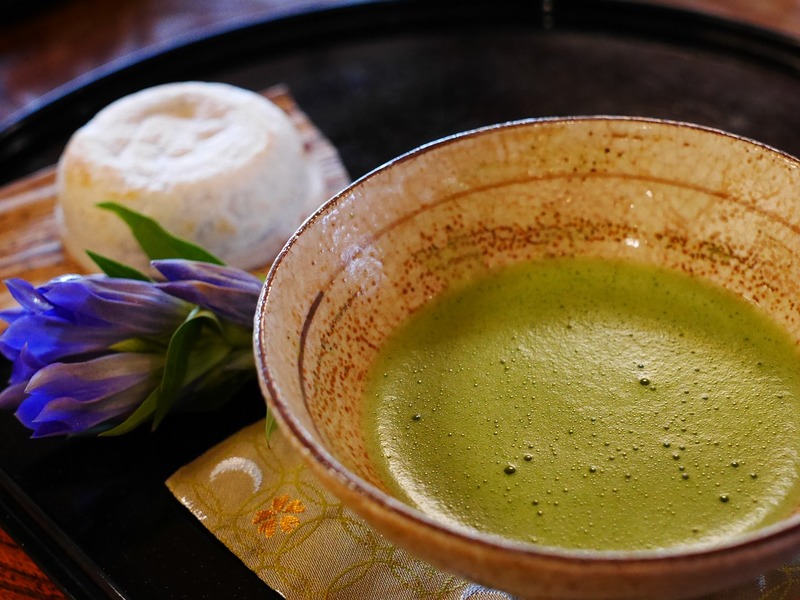 The history of Japanese tea ceremony (Sadou) dates back to 9th century, and the art of tea ceremony has gradually been developed into the present form since then. In this workshop, participants will learn the history and the philosophy of Sadou, followed by the actual Sadou lesson with step by step instructions. 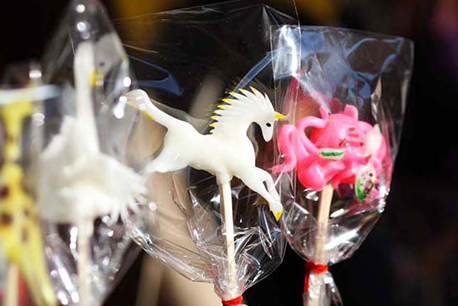 Amezaiku is Japanese candy craft artistry originally started during the Heian period (794 – 1185AD). Amezaiku artists, using multi-colored taffy, creates various shapes such as fish, animals, anime characters, etc, with hands and other tools like tweezers and scissors. You can learn the basics of Amezaiku while enjoying the demonstrations by an Amezaiku artist. Kimono is a traditional Japanese garment which was worn on a daily basis in old times until western garments were introduced. 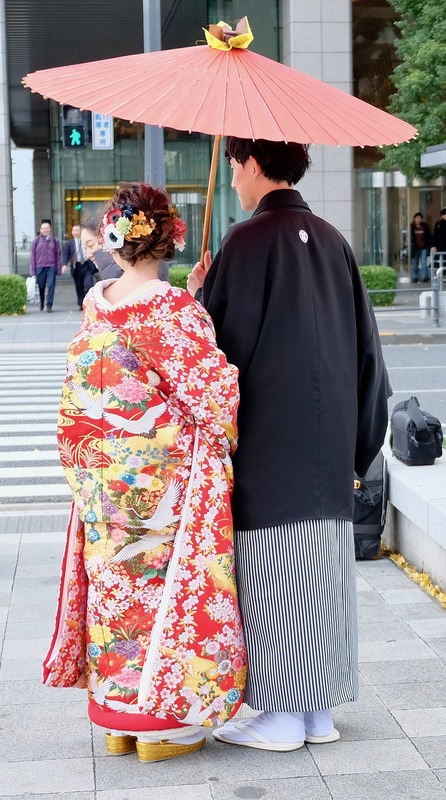 In modern society, kimono is mostly worn in special occasions such as ceremonies and weddings. 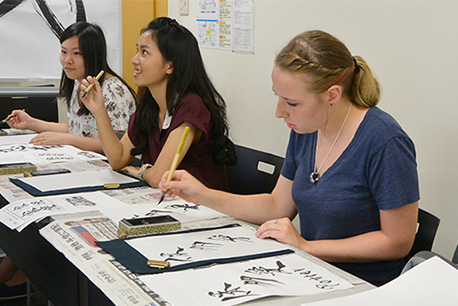 In this workshop, participants will learn different kinds of kimono and how to wear them. How do you select participants in the program? Places will be offered on a first-come-first-served basis. However, we might limit the number of students from each country to ensure the diversity of the participants. You will be notified about the admission results within 5 working days. Once you are admitted, you can finalize your place in the program by making the program fee payment. Do I need to be fluent in Japanese to participate in the program? and intermediate. 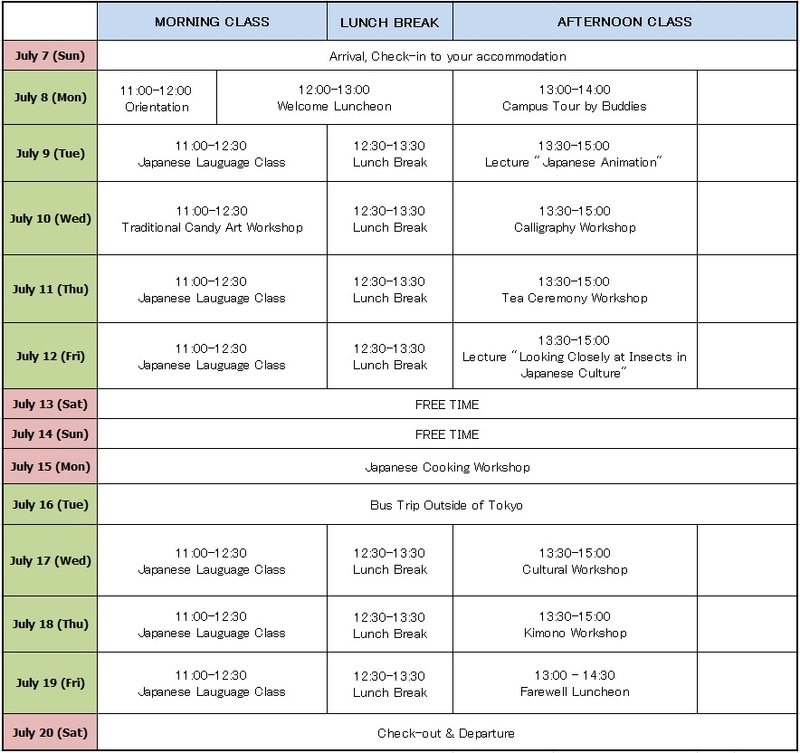 All lectures are given in English or in Japanese with English interpretation. Do I get academic credits by participating in this program? – Please consult with your home university to see if your university would award credits based on the certificate. and “Housing Information” will help you find a suitable accommodation. Would I get a chance to make Japanese friends? 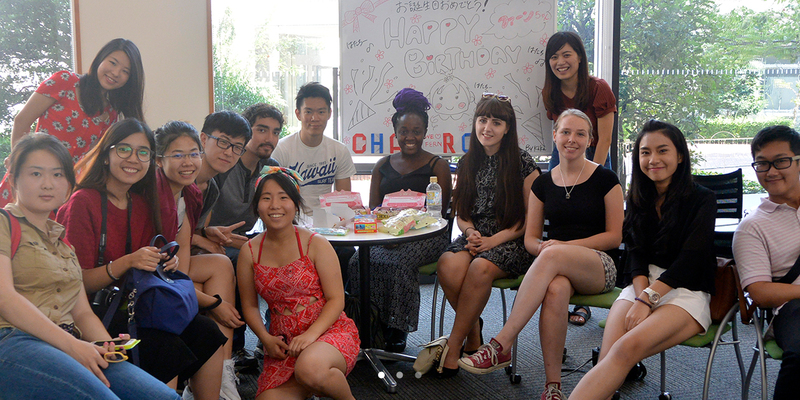 who are interested in spending time with international students --- they are looking forward to meeting you in Tokyo! Copyright3 Aoyama Gakuin University. All Rights Reserved.